Johannesburg - Television presenter Simbarashe "Simba" Mhere died in a car accident near OR Tambo International Airport on Saturday, the SABC reported. SABC's SAfm News reported that the Top Billing presenter was killed in the early hours of the morning. Lorraine Maisel, from Mhere's publicity company, paid tribute to 31-year-old Mhere, Sapa reported. "He was going places. I saw him on Thursday... Simba was a gentle, kind and loving person," Maisel told the broadcaster. According to his profile on the Top Billing website, Mhere was born in Zimbabwe and moved to Johannesburg as a baby. He attended Randpark High School and studied at the University of Johannesburg. He won the Top Billing Presenter Search in 2010. The passing away of Simba has left many shocked and he will surely be remembered for his journey as a top TV show presenter. Owen of Owen S Management told The Citizen that the news of his passing came as such a shock. And also that they themselves did not know the full details. Eye Witness News reported Simba was in the car with his father and a friend, his father survived but he and the friend did not. 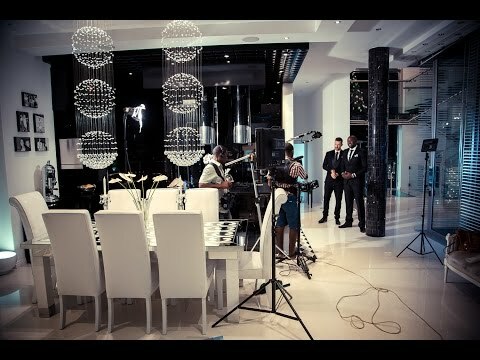 On January 28th, 2015, Top Billing shared a video on their YouTube channel that followed Mhere’s journey with the popular lifestyle show. In the video he and fellow presenter Jonathan Boyton Lee talk about their ‘bromance’ and some of Mhere’s best interviews with celebrities like Robin Williams and Cameron Diaz. What a sad loss to the entertainment industry in South Africa. He will be missed.